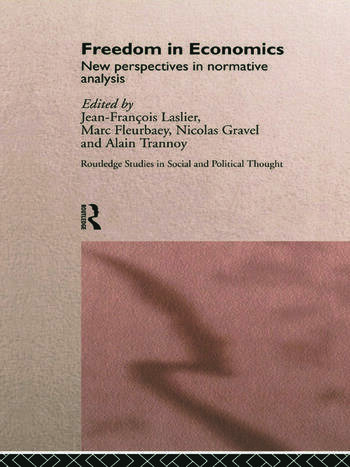 This book presents a range of papers by philosophers and economists who consider the definition and value of liberty; freedom in rights and equality of opportunity. Until recently freedom has played no explicit role in the conceptual framework of economists, however freedom seems to be at the heart of economics. The book provides a substantial contribution to the fruitful dialogue between the philosophy and economics in this area. Each chapter is integrated being followed by comments which explore the underlying debates. Contributors are French economists, philosophers and political scientists, as well as authors from Belgium and the Netherlands.